(1919) Conrad Veidt, Werner Krauss. Classic silent horror film about a zombie-like somnambulist who's used to perform the evil bidding of a side show mesmerist. The use of light shadow and imagery is incredible. 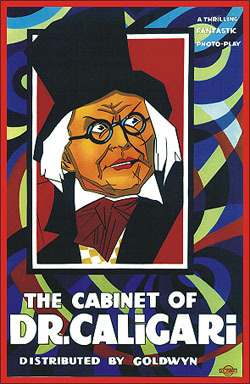 Krauss is unforgettable in the title role. Music score. 16mm.